Thumping is one of the major sources of resources in Firefall, and if you’re looking for a fight it’s one of the quickest ways to find one! 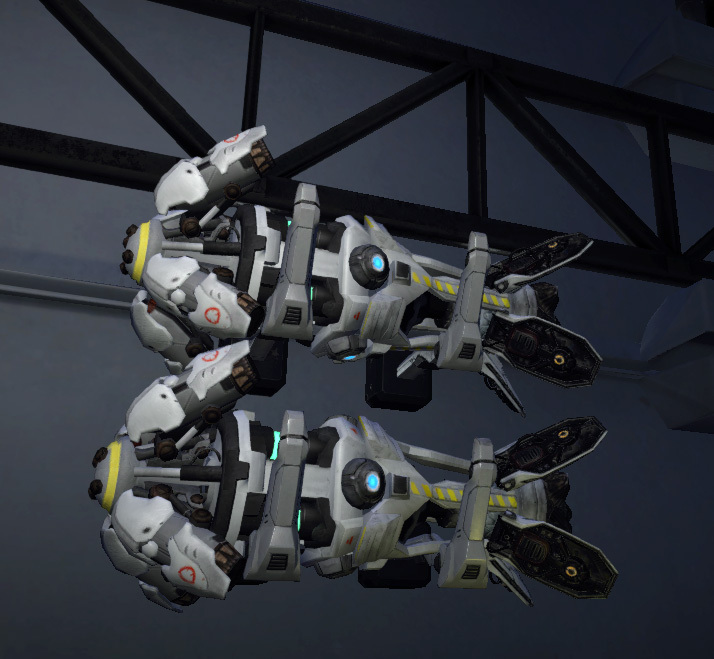 We’ve put together this Firefall thumping guide to help you get started and get the most out of your thumping. Thumping is a multi-stage process, where you use your scan hammer to find a subterranean resource vein, and then place a thumper to extract those resources from the ground. Thumpers drill for five minutes; when they’re 100% complete, the drill stops and the mechanism folds away. Enemies will stop attacking it. If unattended, the thumper will send itself back two minutes after it reaches full capacity. You can send your thumper back at any time, by holding down E when you’re near the thumper and facing it. When you send it back, you’ll receive your thumper back in your inventory, and your share of the resources it gathered. If your thumper is destroyed before you return it, or if you’re not in the same instance (if you’ve joined your squad elsewhere, for example) then when it returns, you won’t receive it back. Any resources it gathered will also be lost. A completed thumper on a resource vein also provides an XP reward to everyone in the squad. There’s a cooldown on your thumper calldown which is shared across all your thumpers, which means you can’t run multiple thumpers at the same time. However, this cooldown is less than a full thumper cycle, so you won’t be locked out unless you lift your thumper early. This is the first, essential step in placing your thumper. To scan, you’ll need an item called a scan hammer – you may have received one as part of the introductory missions; otherwise, you can make yourself one quickly at the molecular printer in any major city. You can find the scan hammer in your calldowns menu, in the Resource Collection sub-menu. When you use it, it sends out waves in the direction you’re facing, testing to see if there are any resources under the ground. These waves will help you find a resource and narrow down areas with a high concentration. You’ll also see a “SIN card” pop up in mid-air, showing more details of what you’ve scanned. Coloured waves mean that you’re getting a signal for a resource – the colours correspond to the resource family. The height of the coloured waves will increase near the peak of concentration. There are brighter rings of colour moving across your scan result; these rings move towards the point of highest concentration. Orange rippling waves mean that you’re within the effective area of another thumper. The SIN card will show you the concentration of each resource at the point you used the scan hammer; the remainder is taken up by Sifted Earth. Sifted Earth can be refined to yield small amounts of crystite, but thumpers full of dirt do not yield XP, and are not worth the effort. You can find multiple resources in one area, which happens when nearby resource veins overlap for part of their areas. Several different veins can overlap at once. At present, resource veins are approximately circular with a diameter of about 500m. Thumpers come in eight varieties. There are personal thumpers and squad thumpers, and each type comes in four sizes: stock, thumper I, thumper II, and thumper III. Personal thumpers are intended for solo or duo play, while squad thumpers are designed for a group of up to five players. The bigger the thumper, the more resources it can recover during its five minute drill cycle, but the harder the enemies it attracts. Squad thumpers also attract more (and bigger) enemies than personal thumpers. The names refer to the gear stage for which the thumper’s tuned, so if you’re a newer player you’ll want to stick with Stock Thumpers and Thumper Is until you’ve geared up a bit. There’s also a difference in the way thumper yields are handled for squads of multiple people. Personal thumpers split their capacities between the number of people in the squad, whereas squad thumpers give their yield to every squad member. So in a four-person squad, a personal thumper with 300 resources would give 75 resources to each member, whereas a squad thumper with 300 resources would give 300 resources to everybody. Thumper yields are complicated somewhat by the fact that thumpers that reach full capacity before being lifted yield a 100% resource bonus. This is not split among squad members; everyone receives the full 100% bonus (which means that the impact of adding extra players to your squad is relatively small even for personal thumpers). You can use our handy Thumper Yield Calculator to see the impact of changing thumper types and squad sizes. Bear in mind that for your squadmates to get their share of the thumper’s yield, they will need to contribute to the thumper’s defense. This means they’ll need to be near the thumper, and they’ll need to participate in combat for the thumper. Killing nearby enemies who aren’t going to attack the thumper doesn’t count, but it does seem that just shooting the thumper itself a few times is enough to give credit. If your squadmates don’t contribute enough to qualify for their share of the rewards – for instance, if they’re AFK or on the other side of the map – they’ll still reduce the thumper yield by their share, they just won’t receive it. If you assist a thumper that doesn’t belong to you or your squadmates, you’ll receive a helper bonus from the Accord. This bonus is given when the thumper is lifted, and it’s equal to 30% of the yield each thumping player receives – however, this 30% is shared evenly among the out-of-squad helpers. Thumpers are crafted at the molecular printer; the recipes can be found in the Thumpers menu. Tiki Thumpers are available as a crafting option for players who have purchased a Founders Pack (which was available during Closed Beta). Tiki Thumpers are a purely cosmetic difference; they cost the same resources to craft, and have exactly the same stats as non-Tiki thumpers of the same type. Their models are substantially bigger, as you can see from the size chart above, but this doesn’t affect their stats. Your location has two major effects on thumping. The first is that the enemies attacking your thumper will vary depending on where you’re thumping. For instance, If you’re near the coast, you’ll get a lot of skivers and nautili whereas inland you’ll see more aranhas, hissers and threshers. If you’re near the Melding, you won’t see any ‘normal’ enemies at all – instead, your thumper will be attacked by the Chosen and their minions (Tortured Souls, Grunts, Melded Hissers, Melded Scorchers and Melded Culexes). This is called “meld thumping” by players, and it’s a lot more challenging than normal thumping. The second effect of thumper location is that of positioning. You can make a thump a lot easier for yourself by placing your thumper so that enemies can’t attack your thumper from all directions. For example, you can use trees and rocks to protect the thumper from some angles of attack, and channel the enemies into more predictable patterns. Just be careful – if your thumper is placed so that most of the attackers can’t get to it at all, that’s generally considered an exploit, and taking advantage of that is frowned upon. 3 However, the devs do encourage us to use the terrain to our advantage – there’s no moral obligation to plonk your thumper in the middle of a flat plain with no cover whatsoever. An active thumper prevents anyone from putting down another thumper within 100m. The locked-out area shows up on a scan as pulsing orange waves. However, resource veins are much larger than the area a thumper covers, which means you can fit several thumpers on one vein. In this case, all the thumpers will draw from the same resource vein, which will deplete it much faster. Be aware that it’s very possible to be out-thumped by a nearby squad if they’re using a much bigger thumper than you, even if you’re on a point of higher concentration. The thumper lockout lasts for 30 seconds, which gives you a chance to place another thumper before somebody else comes along and thumps in the same spot. At present, when you thump you’ll face a number of enemy waves of increasing difficulty; the majority will be weak and normal enemies with sporadic larger enemies. These waves spawn based on the thumper’s progress, so you’ll need to deal enough damage to keep the enemies under control. Larger thumpers spawn proportionately more hostiles, but the pattern remains approximately the same. Note also that higher-level thumpers spawn the same kinds of enemies, but they’re scaled up — you can see this by the progression of their difficulty colours (yellow, orange, pink and red). Scaled-up enemies deal more damage to you and the thumper, and require more damage to kill. Weak enemies include skivers, shell-less hissers and worker aranhas. They’re particularly susceptible to AoE, and a single grenade can clear a whole swathe of them. Normal enemies include regular hissers, culexes and aranhas. Larger enemies include stormer and sieger aranhas, threshers of all types, and nautili. Meld thumping triggers entirely different attackers, but they follow the same pattern. In addition, every type of thumper will spawn several waves of Explosive Aranhas regardless of the terrain, and there will be a big wave of boss-level enemies at around 70-75% completion. For non-meld thumps, this boss wave will include some combination of terrorclaws, rageclaws and giant culexes; on the biggest thumpers you can be facing half a dozen terrorclaws, which can ruin your day fast if you’re not ready for them. 4 Bigger thumpers will also spawn a wave of enemies at 100% completion, which can interfere with sending back your thumper safely. It’s also worth noting that hostiles in the vicinity of your thumper will attack it, even if they’re not spawned as part of the thumper encounter. This is potentially a problem when you have Chosen Strike Teams wandering past to attack a nearby tower; other enemies like Tanken bandits are also dangerous, but a group of Chosen can half-destroy a small thumper before you get the chance to save it. Beyond this general advice, each frame approaches thumper defense differently, and it’s outside the scope of this guide to tell you how to play your battleframe. We recommend plenty of practise, by assisting other people and dropping your own thumpers. BadlyBurned shows how to solo a Heavy Personal Thumper as a Bastion. BadlyBurned shows how to solo a Heavy Personal Thumper as a Raptor. BadlyBurned provides commentary while Silenciaco solos a Heavy Personal Thumper as a Firecat. 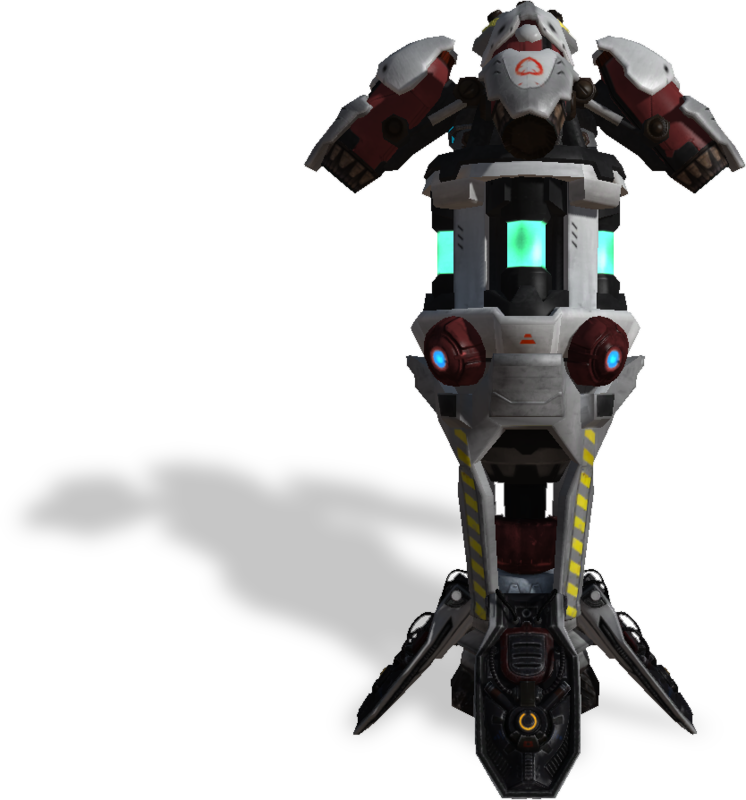 Rawr4Firefall’s Guide to Tactical Thumper Placement. Rawr4Firefall’s Guide to Battleframe-Specific Thumping Tactics. Thumpers do not play nicely with the Melding. Like most in-game equipment, the Melding causes serious damage to thumpers. If you manage to place them beyond the Melding wall, they’ll be destroyed extremely quickly. Be careful when you place thumpers in the very north of New Eden; if a Repulsor Amplifier is currently active and pushing back the Melding, your thumper will be destroyed if it’s within the Melding once the Repulsor Amplifier deactivates. You can thump for resources in the three new melding pocket zones, Diamond Head, Sargasso Sea and Antarctica. (Note that each of these zones has their own set of resource pools, so you can find and thump for different resource qualities there.) Check out our guide to accessing the melding pockets, and our article on resource pools and how they work, for more information. Each of these zones has a range of unique new enemies to fight, as well as some familiar creatures from New Eden. Because of this, thumping can be quite different in each zone. In addition, the heavy attack waves don’t follow the same pattern as New Eden thumpers, so you’ll want to get some practice before deploying advanced thumpers in the melding pockets. If you use addons, we recommend Thumper Monitor by Granite. It will display a small panel on your screen showing your thumper’s health and completion status. This is very helpful when you’re dealing with hectic fights and can’t keep your eye on the thumper’s SIN card all the time. So that’s thumping in a (very large) nutshell. We’ll keep the guide updated as changes happen to thumping, and if you have any questions please feel free to get in touch! Thank you thank you thank you! Red 5 should pay you to put this stuff on their site! Press C, and scroll through the Calldowns menu until it gets to “Resource Gathering”. Click your left mouse button once to enter the Resource Gathering list, and you can choose your scanhammer or thumper there by scrolling through and left-clicking the item you want to use. Someone told me that you will get significantly less resources, once the thumper has less then 60% integrity. Do you know anything about that? No, that’s not the case – thumper integrity has no impact on the amount of resources you receive. You’ll still get the full yield even if it finishes with 1% health. Thats not true, or did it change? Squad thumpers now remove the full quantity collected from resource veins. Accord completion bonuses are now taken from the resource veins. That’s true – but there are other situations where you don’t get credit for your squadmate’s nearby thumper if you don’t kill at least one mob, so I’m not sure at this stage what the rules are. I’ll adjust the text to be more accurate, though. Hey, just wanted to present a theory that so far has been holding true. So I, along with several others, have been testing the amounts of finite resources in each vein. There is no certain value that pertains to all veins. however, the percentage of a resource appears to affect that amount of that resource that can be pulled. For example, when thumping say, 55% Xeno, There will be a little over 3k units that will come from that vein. but in a vein of 80%, it is closer to 5k units. This info is helpful for the thumping tactic where you throw an S3 down, pull it up before it drains fully, then throw it back down on the same peak, get that to 100%, and then lastly throw another thumper down before pulling the 2nd peak thumper up. What does it mean on the personal thumpers being “Capacity (Split)”. What is split? In other words, the capacity is the total amount of resources that thumper can collect in one run, and for a personal thumper – if you’re not soloing it – the contents are split evenly between your squadmates. Thank you very much for the clarification. I did not quite get the difference between the helper bonus and the squad member cut, as I am rarely in a squad. Also, now, Personal Thumper doesn’t share the resource with “outsiders”. Only “in-squad” member receive their share. This make it a bit bad whenever someone uses the Personal Thumper II and III as their look similar to the Squad Thumper I and II. To get resources from a thumper without being invited in the squad, you have to be in the Thumper proximity for more than 20% of thumping. So, you try to join a Thumper which is at 85%, you won’t get resources from the thumping, but only the resources that comes from the killing.